Reminder that we have an early out for Elementary students today at 12:45. 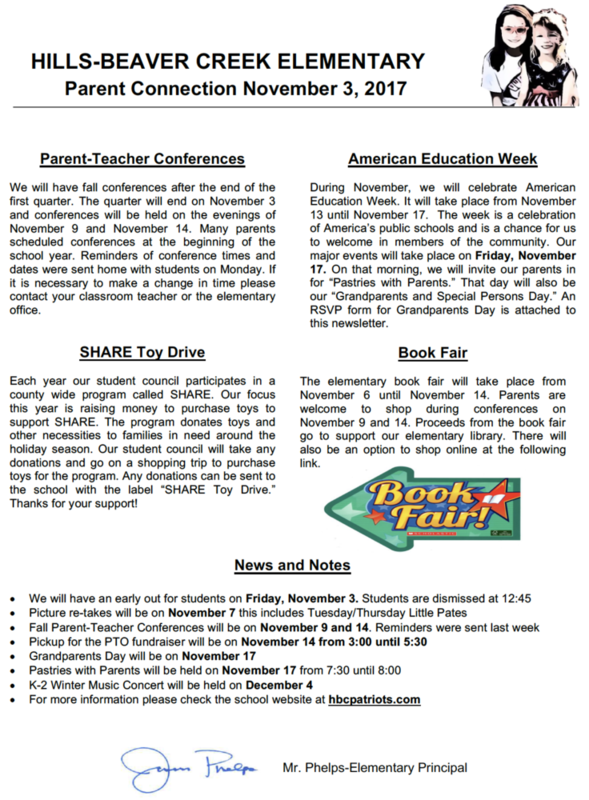 We look forward to seeing parents at conferences on November 9 and 14. The link for the November 3 Parent Connection is below.